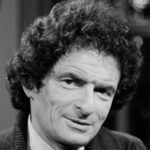 Jerzy Kosinski was a Polish-American novelist and two-time President of the American Chapter of P.E.N., who wrote primarily in English. Born in Poland, he survived World War II and, as a young man, immigrated to the U.S., where he became a citizen. He was known for various novels, among them The Painted Bird (1965) and Being There (1970), which was adapted as a film (1979). "Travel gives me the opportunity to walk through the sectors of cities where one can clearly see the passage of time." "I can create countries just as I can create the actions of my characters. That is why a lot of travel seems to me a waste of time." "The things I write are for those who are willing to accept a new relationship between the reader and the author." "I look back into past history, the stored experiences or products of the imagination. I look no further forward than the evening." "As I go to sleep I remember what my father said-that one can never be sure if one will awake. The way my health is now, this is becoming more and more real." "A trait which differentiated New York from European cities was the incredible freedom and ease in which life, including sexual life, could be carried on, on many levels." "The principle of art is to pause, not bypass."